Escape to the country for your hen’s day at one of Bowral’s oldest properties – the beautiful private gardens of ‘Greenlaw’. 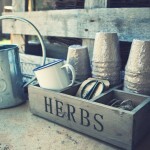 Treat yourself and your hens to a rejuvenating and inspiring day of gardening and green living. Learn how to grow your own food, live lightly on the planet and run a sustainable home. The day will comprise of a guided walk through the property, a number of fun, hands-on sessions such as gardening, botanical art session, guided meditation, craft, everything roses experience, sustainable living, make your own bees wax wraps or natural beauty products and peaceful reflection time. Lunch or high tea will be served on the wisteria wrapped verandah where you will dine on delicious homemade food, much of which has been produced on the property. Experiencing Life at Greenlaw is a perfect way to escape to the country for your hen’s day in the beautiful Southern Highlands of NSW. Only one and a half hours from Sydney, why not turn your hens into a weekend away and enjoy all the area has to offer, including hatted restaurants, wine tours, wild swimming locations, bushwalking and much, much more. Please contact Kirstine to start creating your own special girls day out today!